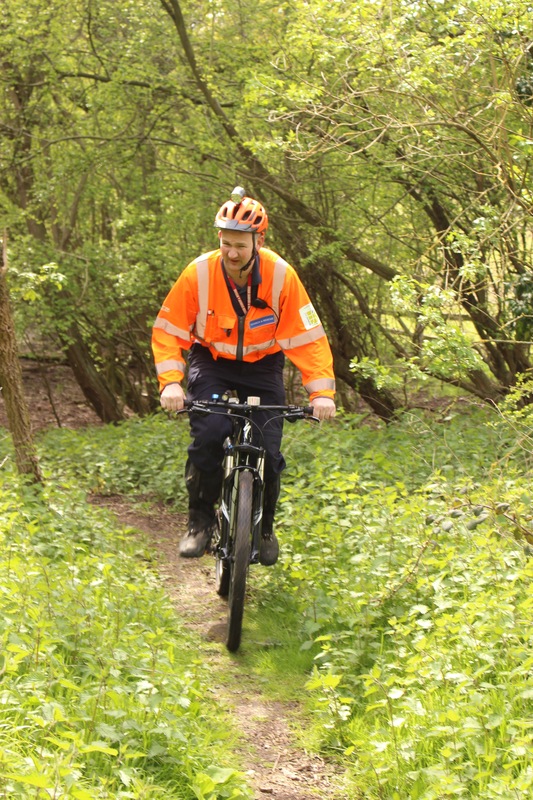 The Essex SAR mountain bike team was formed in April 2015. It was generously funded by Chelmsford Round Table, and the bikes were supplied at a good price by the Chelmsford Specialized Concept Store. We have 5 fully equipped mountain bikes. Each bike costs around £750 fully kitted out. Increased speed for route and path searches. Quick reconnaissance of the search area to help inform the search plan. Ferry equipment to and from the control vehicle to teams on the ground. Cover wide open areas fast and safely. Transporting team members to search areas further away from the RV point.